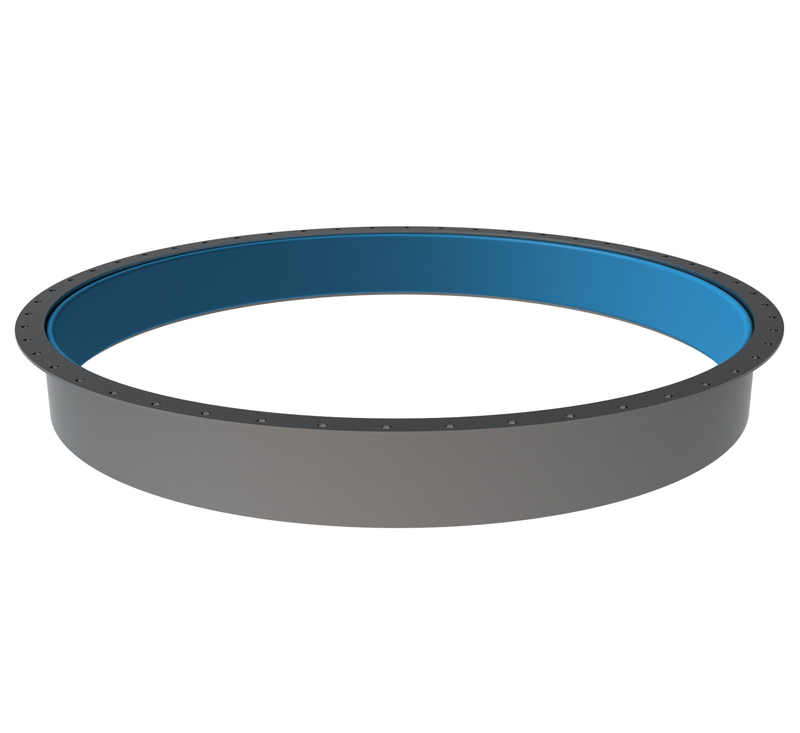 An engineering firm approached Pronal with a request to design and manufacture an inflatable O-ring type cylindrical seal. This inflatable seal was to be used in a tunnel boring project several kilometers long. The proposed cylindrical seal water and mud falling on the tunnel boring machine while simultaneously acting as a sliding seal. Principal of operation is as follows: first, the cylindrical seal is placed on the tunnel boring machine and inflated. It then slides along the entire length of the boring machine until it reaches the void created by the boring machine and seals it off. In the areas where there is protruding rock, the seal is deflated in order to avoid any damage to the seal and re-inflated after passing.The inflation pressure is between 2.5 and 3 bar.